Beautiful little creative solution for a Credit Card style USB. 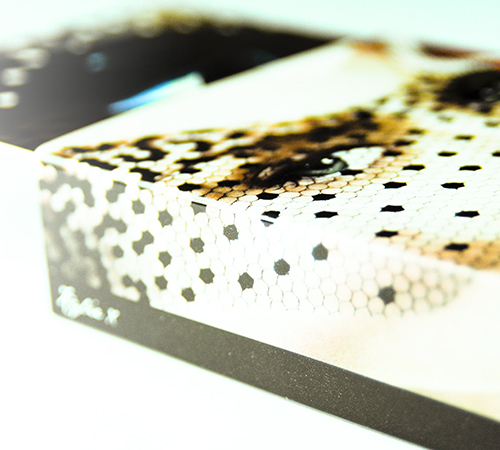 Packaged in a 6pp A6 sized custom designed pack, Full colour printed on both sides with matt laminate finish. 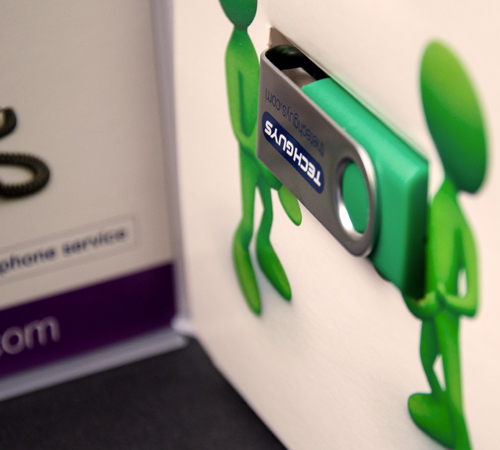 16GB USB produced for DSG Group. 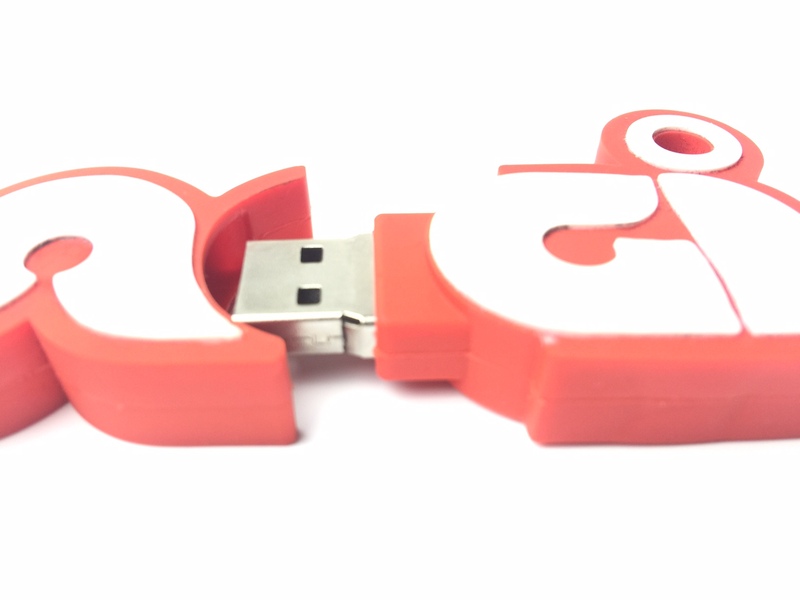 WHat is special about this USB it that while it is the familiar Twister USB concept, this option uses a high quality CMYP printed epoxy resin sticker to ensure the company's brand guidelines were followed in achieving the perfect logo print. 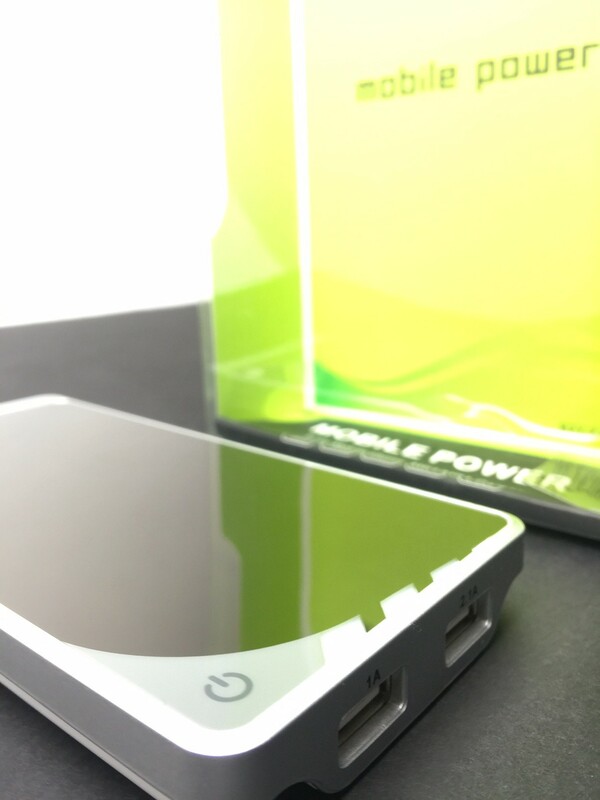 This high capacity, premium Power Bank was supplied to The Perfume Store to provide all-day power to the accompanying Video Screen Point of Sale unit, providing portable charge for 9 hours. Silicone Wristband for O2. 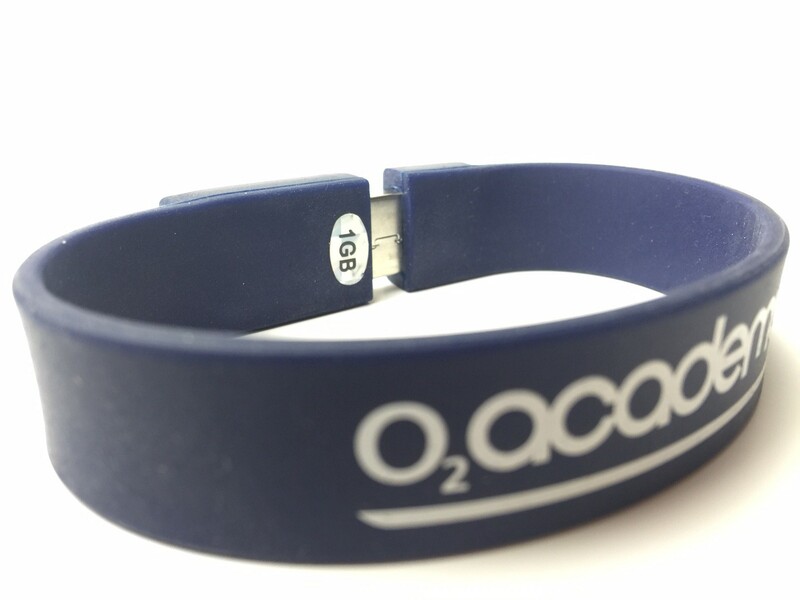 This USB was branded with screen printing and we supplied 10,000 of these wristbands that were used to promote the O2 Academy. 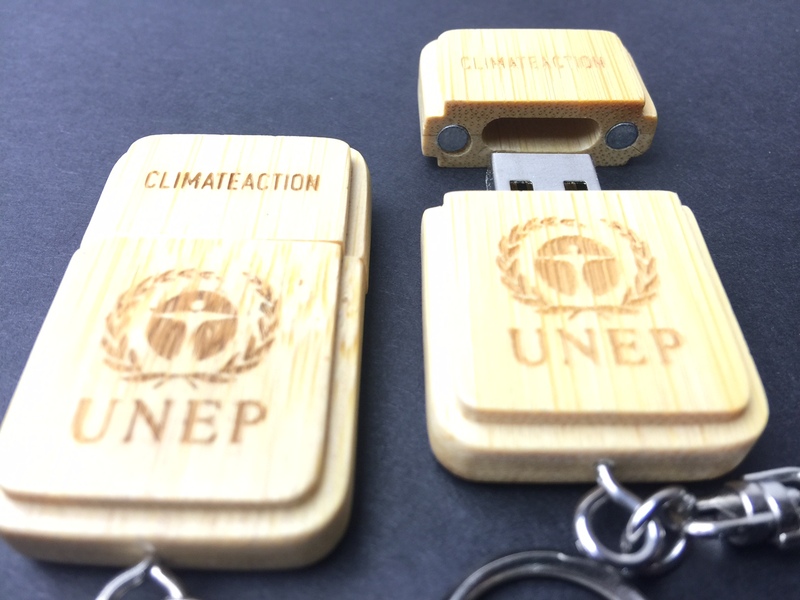 This Bamboo USB was used by global charity UNEP to deliver content at a top global conference to detail their plans to combat Climate Change. 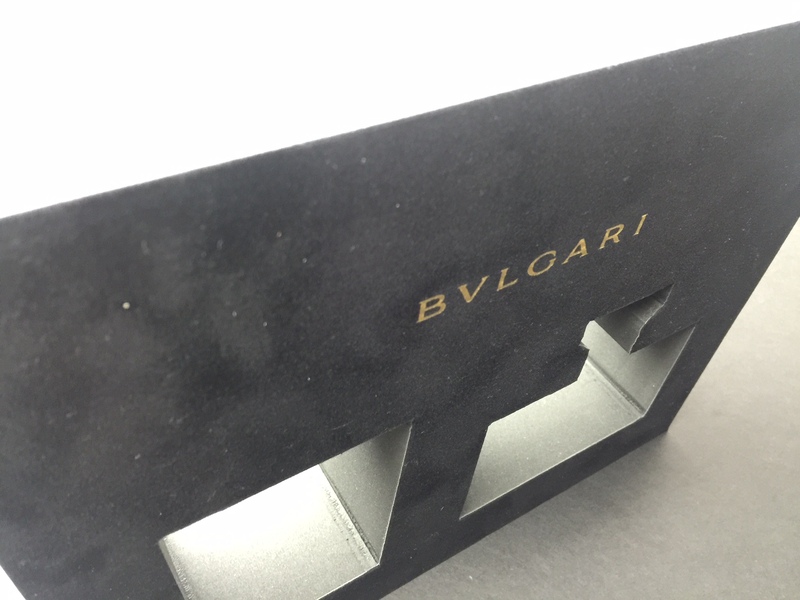 This premium Foam Fitment was used by Bvlgari to not just protect the content, but showcase the luxury look and feel of the brand. Super Slimline VideoPak ideal used by B&Q to promote their Cooke & Lewes range. 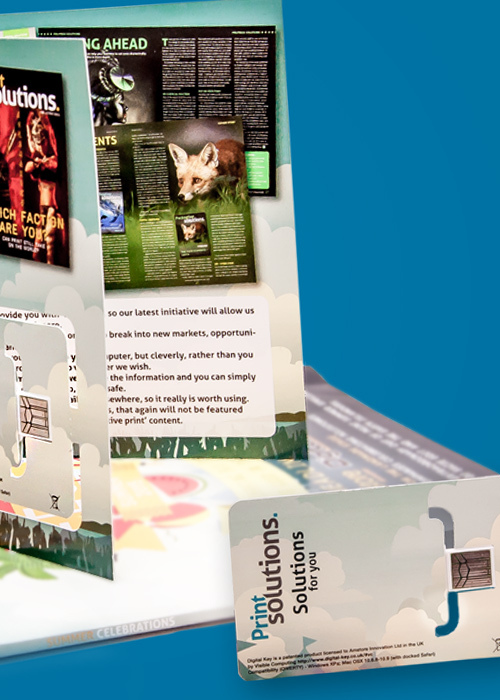 This is a Direct Mail VideoPak using a 2.4" screen, full colour printed and matt laminated. The pack went directly into the post. What an impressive piece of DM! 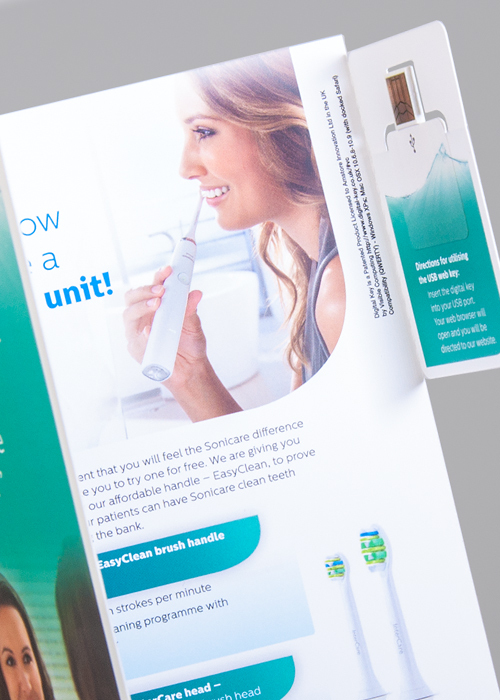 This premium Point of Sale counter top unit was used by Colgate in surgery's. 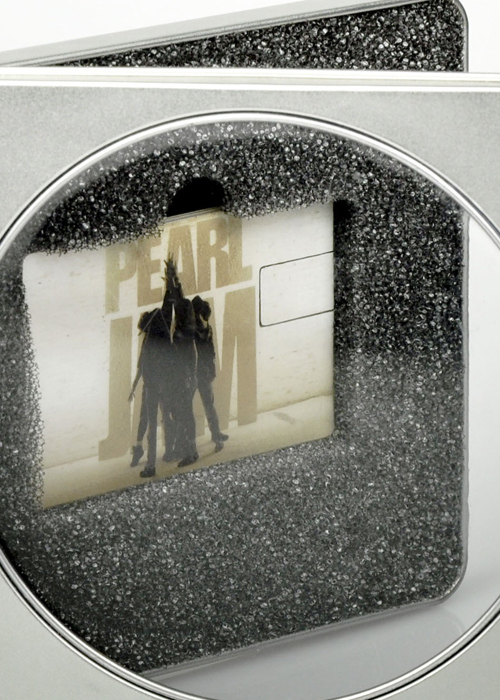 With high quality printed plastic front and back for extra durability, and using a 7" VideoPak screen. Click to read more. 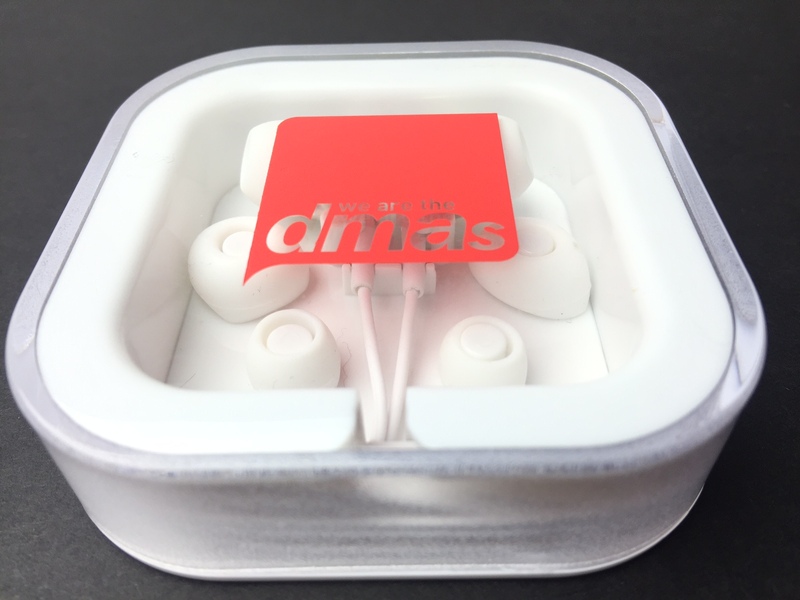 Silk Screen branded with the DMA logo, these promotional headphones were used as part of a Direct Mail pack. VideoPak Slider with 2.4" screen for Dunlop. VideoPak has built in speakers, 256MB Flash, Rechargeable battery. Packaged in pantone printed box produced on Colourplan stock. VideoPak Slider with 2.4" screen for Nexus. 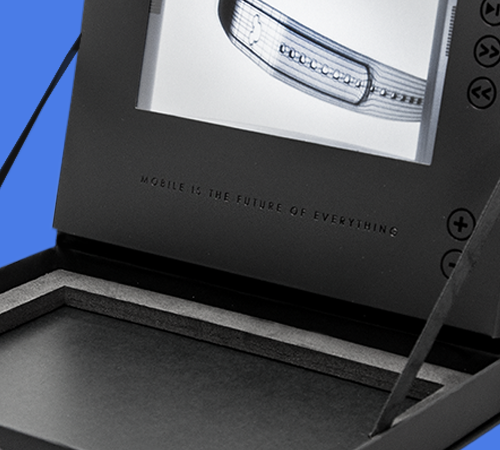 VideoPak has built in speakers, 256MB Flash, Rechargeable battery and charger cable. Packaged in 1 colour screen printed box produced on Micro-Flute board stock. This beautiful little pocket sized VideoPak has a 2.4" screen and uses our Micro Series VideoPak technology components. 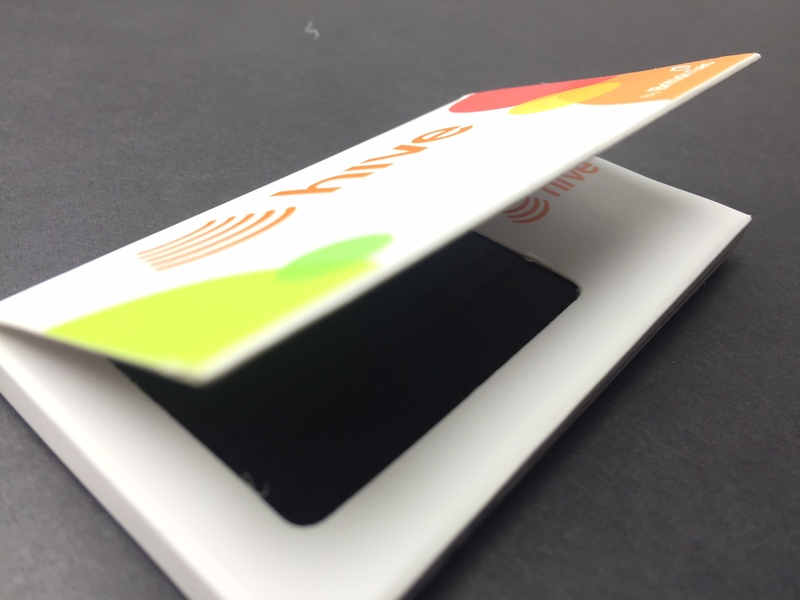 It is just over business card sized but produced with a rigid, paper over board hard cover. 2.4" screen with 128MB flash, built in speakers and rechargeable battery. Micro USB port. What a way to show off a showreel! 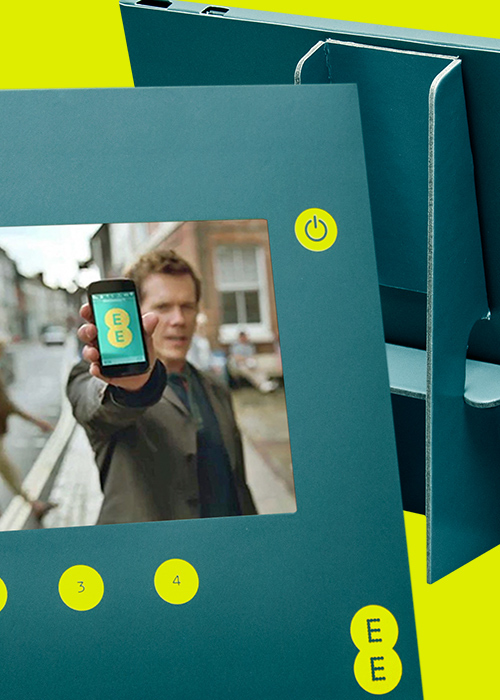 This sophisticated VideoPak presentation box for Siemens is a real beauty. 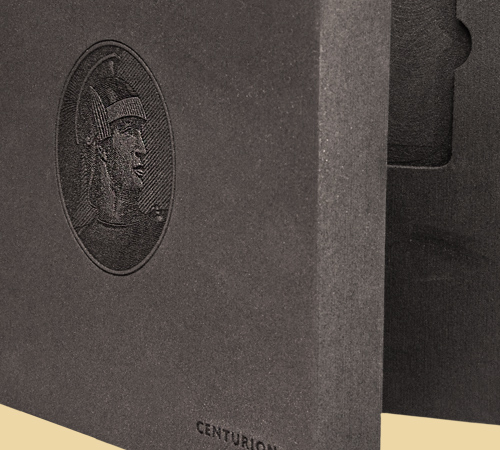 Produce entirely out of black core board with black foil stamp branding, this luxury box looks and feels super stylish. 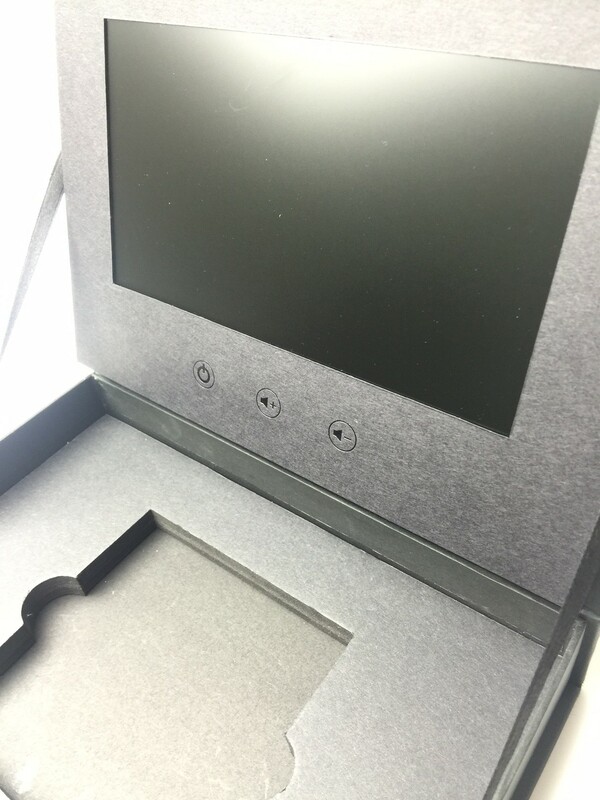 Custom designed fitment to hold the cutting edge product, accompanied with a promotional video on its 7" screen. 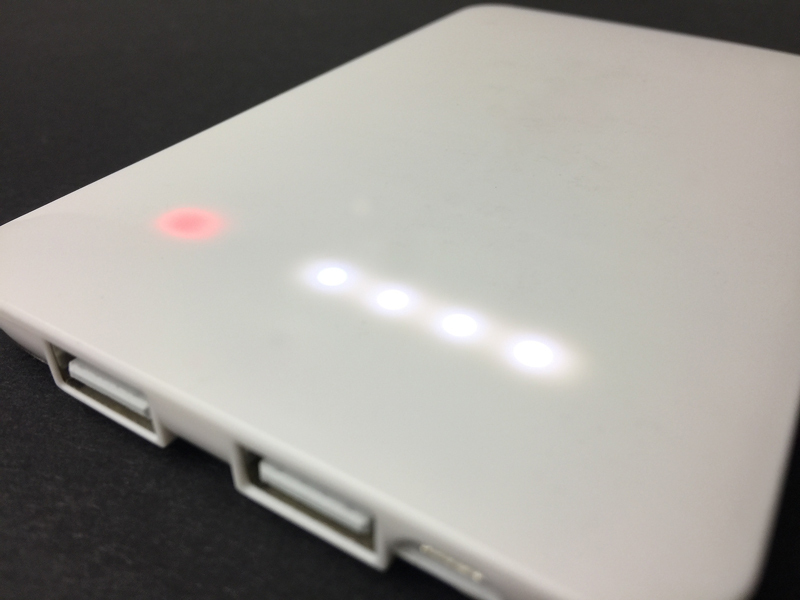 With 3 video control buttons, Micro USB port, rechargeable battery, built in speakers and 512MB of Flash Memory. 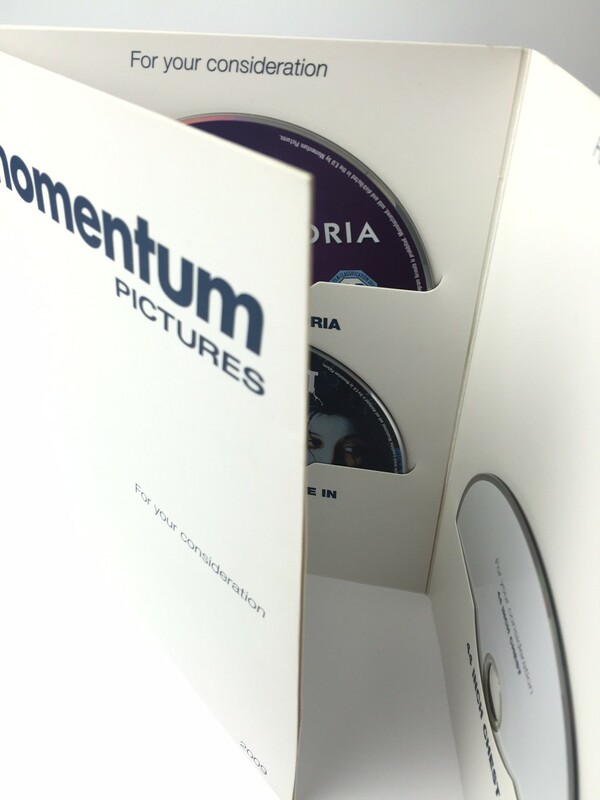 This 8 disk packaging set was bespoke designed for momentum pictures to enter their titles for BAFTA nomination. A cost effective solution that was quick to produce and cheap to mail out due to its light weight yet protective construction. 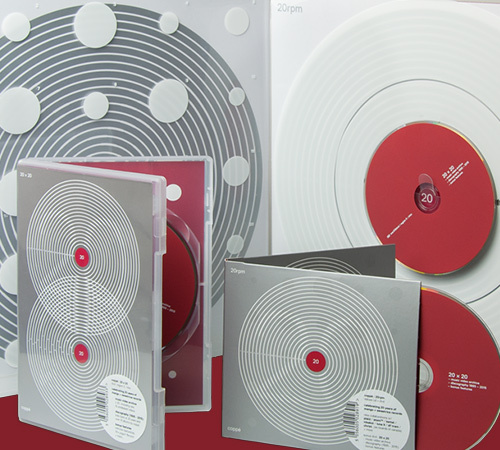 The 8 discs were snugly held in die-cut slits. 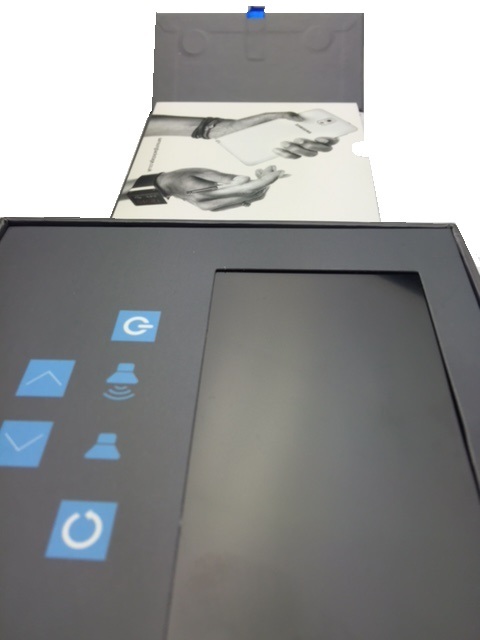 Whilst this product uses familiar VideoPak technology withe slimline LCD screen, rechargeable battery and built in speaker, it is different in its construction to keep the finished product super slim so it can be discreetly fused into the printed magazine. Whilst the paper around the tech is literally paper thin, the wafer thin VideoPak tech comes in at just 2.8mm in thickness. 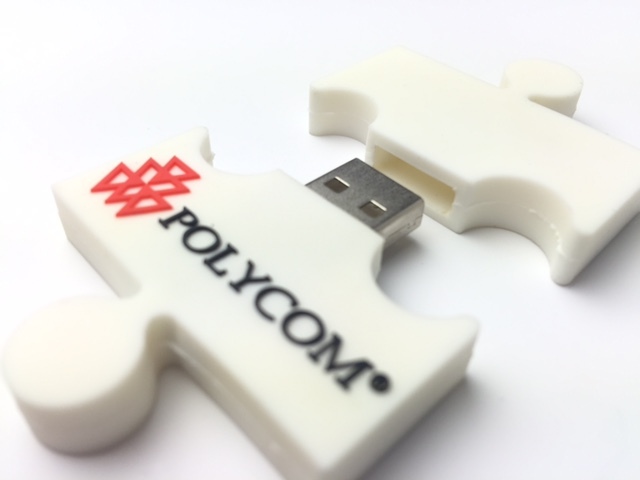 Custom designed and manufactured USB using hard PVC rubber. Embossed/ raised text for super effective branding. Custom made USB produced in soft silicone for a slightly different feel in the hand. The silicone material offers a different feel to the conventional hard PVC rubber. Raised branding for logo print. 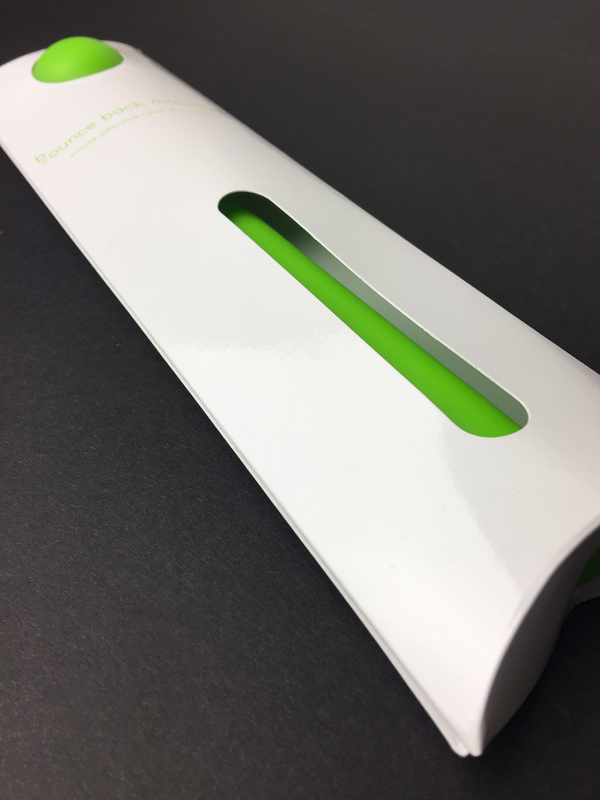 When AGI wanted to offer its clients and prospects a corporate gift presented in their stylish and innovative packaging, what better option than a custom branded, creative 8GB USB. Creative design. Creative product. 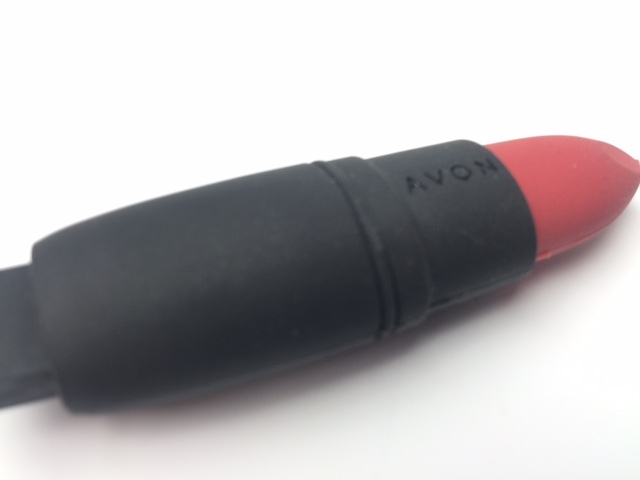 Stylish and memorable custom designed, lipstick shaped 16GB USB for AVON. A familiar product for a universally known brand. 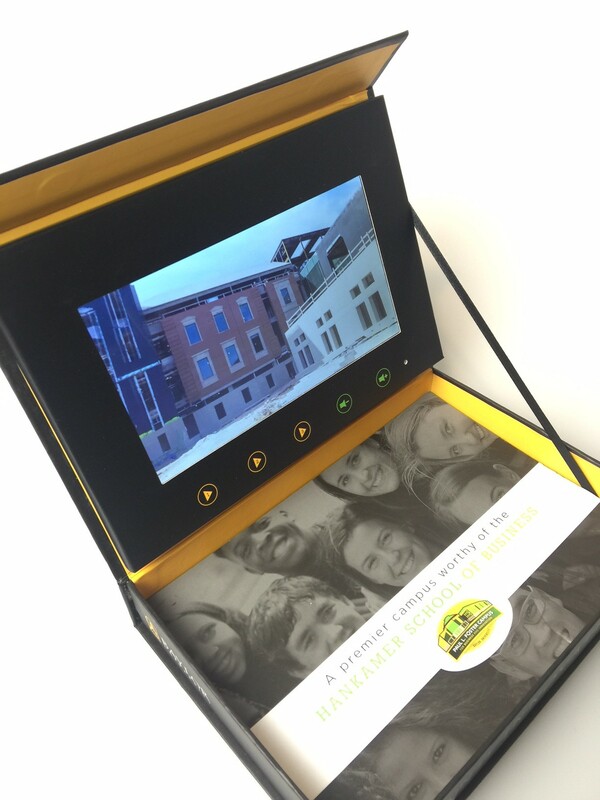 VideoPak presentation box for Baylor University, USA. 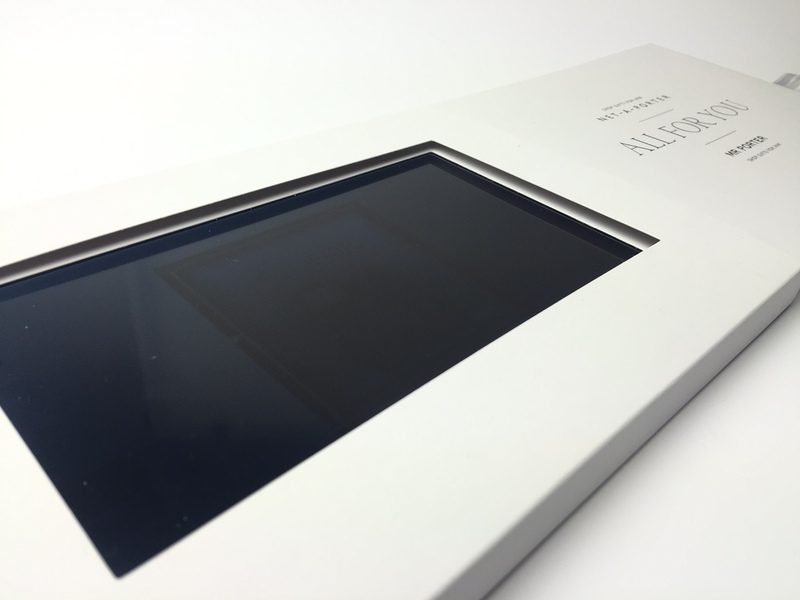 Made with 7" screen, 6 control buttons and light sensor automatic on-off activation. 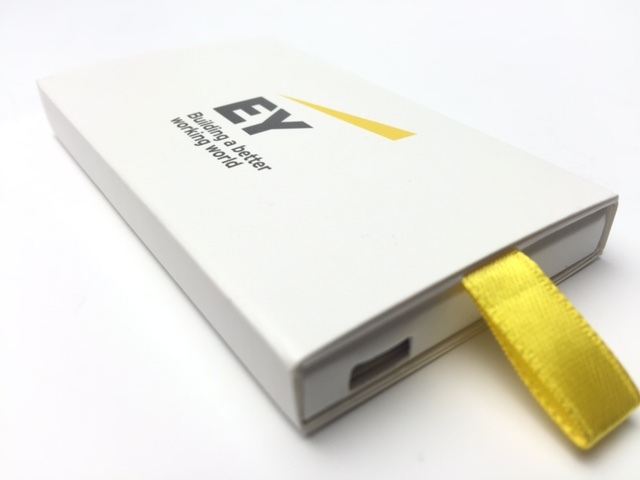 VideoPak slider unit produced for Ernst & Young as business cards with a difference. Handed out to premium contacts with a video message. The Perfume Store wanted to draw attention to a new fragrance in-store. We produced a large quantity of LCD video screen displays and all-day power banks to ensure video playback for the duration of the store open times. We also supplied the SD cards and data-loaded the Versace TV advert. The units were supplied with UK plug adapters with surge protection plugs. 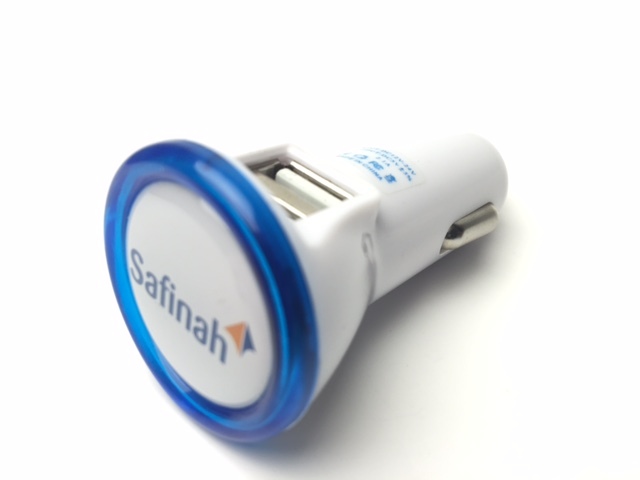 Duo USB port car charger with Safinah logo branding, used as a promotional marketing piece. 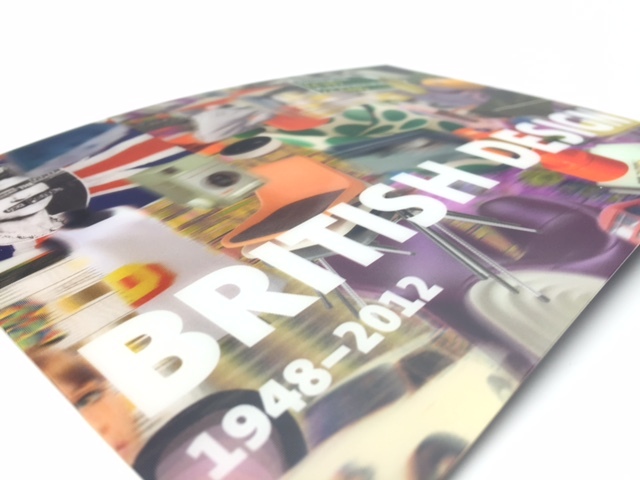 Luxurious Lenticular invitation to celebrate 'Innovation in the Modern Age' at the British Design Museum. Created with impressive 3D depth images to really catch the eye. 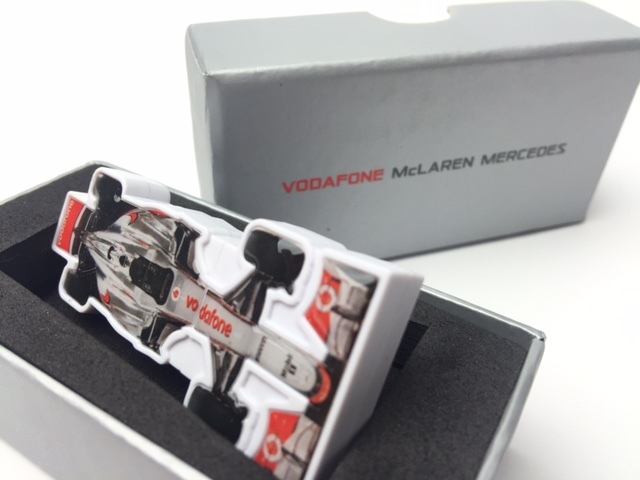 A premium, custom designed 16GB USB made exclusively for McLaren Mercedes as a retail product. 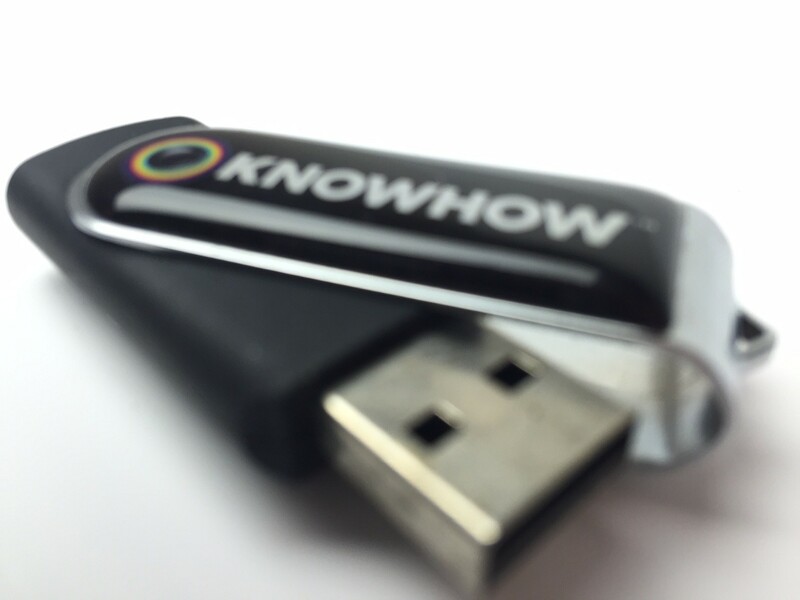 The USB was produced in a hard plastic and with a CMYK printed epoxy doming resin top and bottom to achieve the high quality detail of the car. 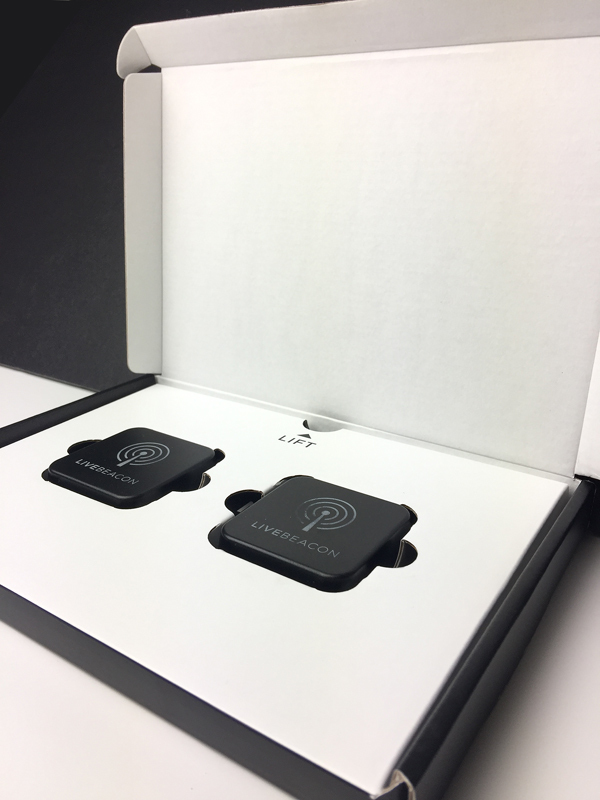 The USB was set in a bespoke cut, high density EVA foam and packaged in a branded presentation box. 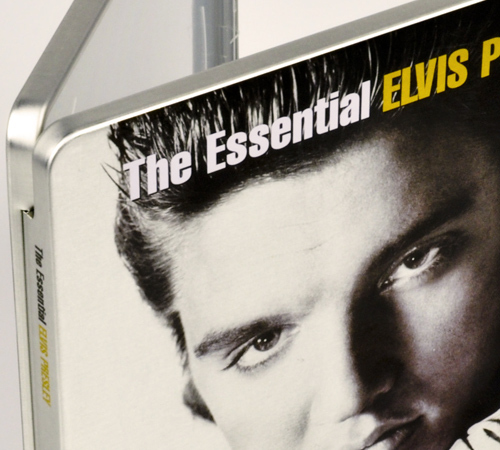 Premium VideoPak produced in a bespoke shape, rigid board construct cover. 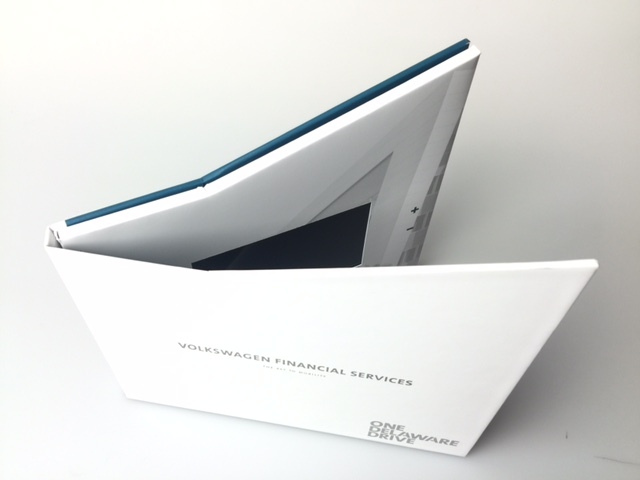 The angled design required careful hand finishing to achieve a highly creative pack in a shape that resembled the new VW Financial Services building. Manufactured with a 5" LCD screen, built in rechargeable battery, USB port and 7 video control buttons. 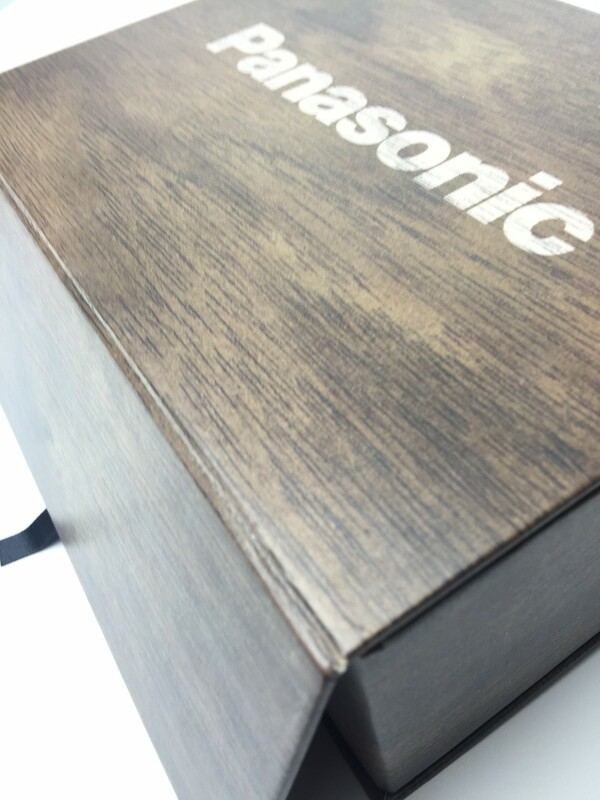 Bespoke shaped, VideoPak presentation box for Panasonic. 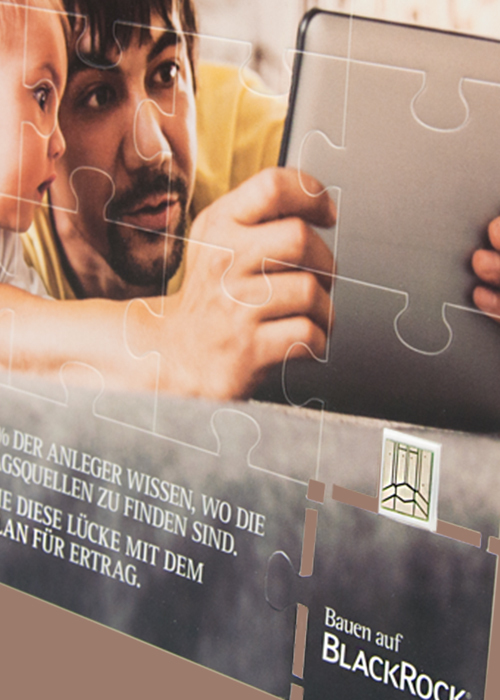 Printed with a wood-look effect and finished with a premium soft touch laminate. Custom designed fitment created to hold the contents. 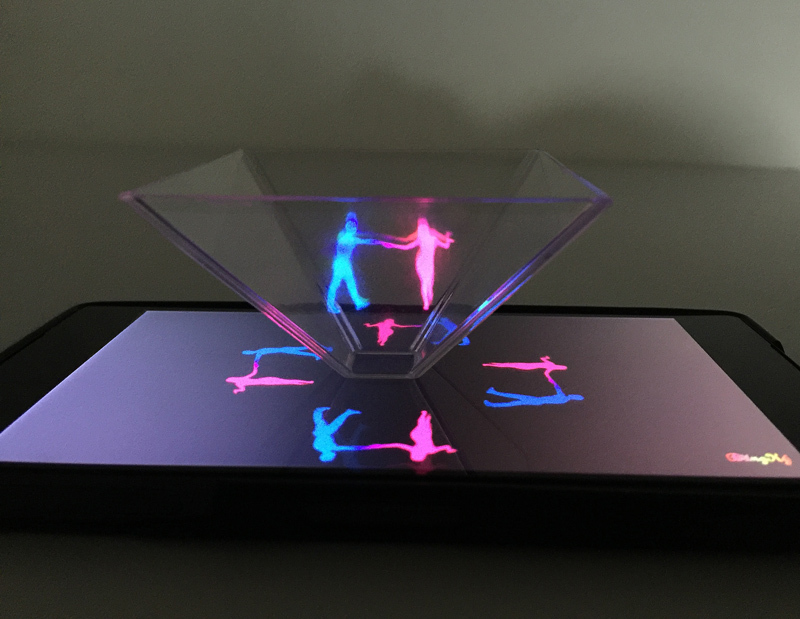 5" LCD screen and created with light sensor so when the lid is opened, the video begins to play automatically. The electronics power-down when the lid is closed. With built in speakers and Lithium rechargeable battery. 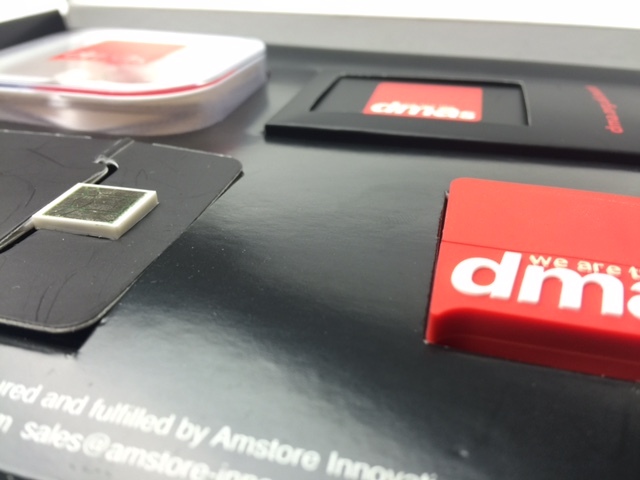 Digital Key USB webkey used by Royal Mail as part of a welcome pack for new starters. 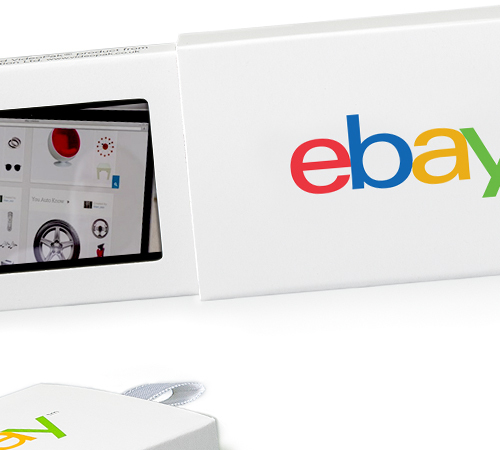 As the Digital key is trackable, Royal Mail could see when the keys were plugged in. 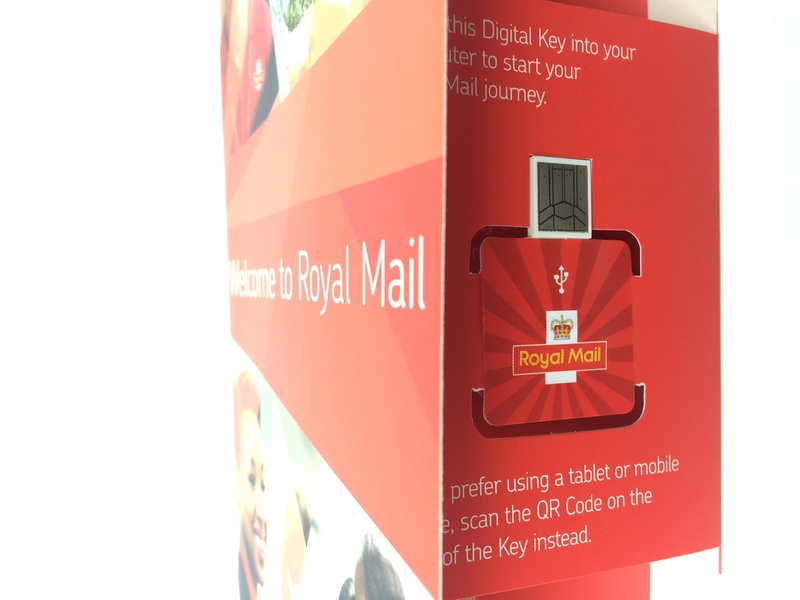 When plugged into a computer, the Digital Key automatically launched the dedicated website for all Royal Mails employees, wit access to videos, articles and other important online content. 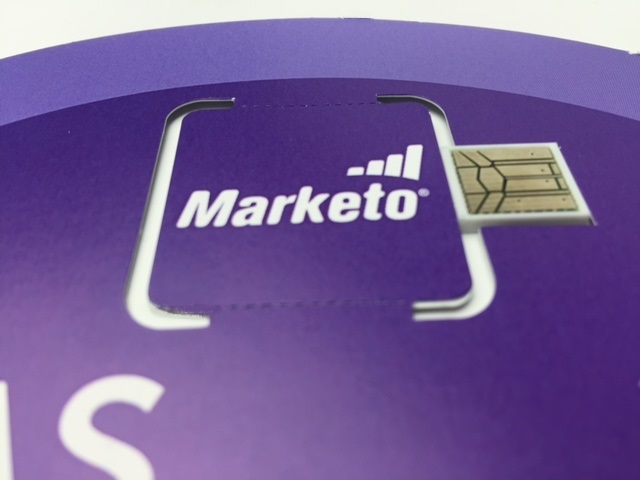 Marketing Automation company Marketo wanted to promote their company and their product at a major event and used a custom shaped USB Digital Key Webkey as a hand out to interested prospects. 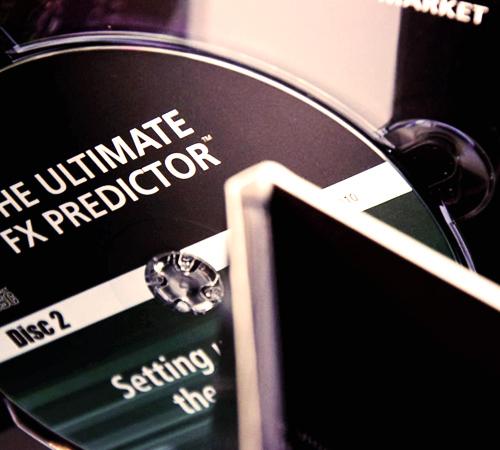 When plugged in, the Digital Key took the end user directly to a specific Marketo web page. As with all Digital Keys, Marketo could track the end-user usage of the Digital keys by logging in to the online analytics platform. 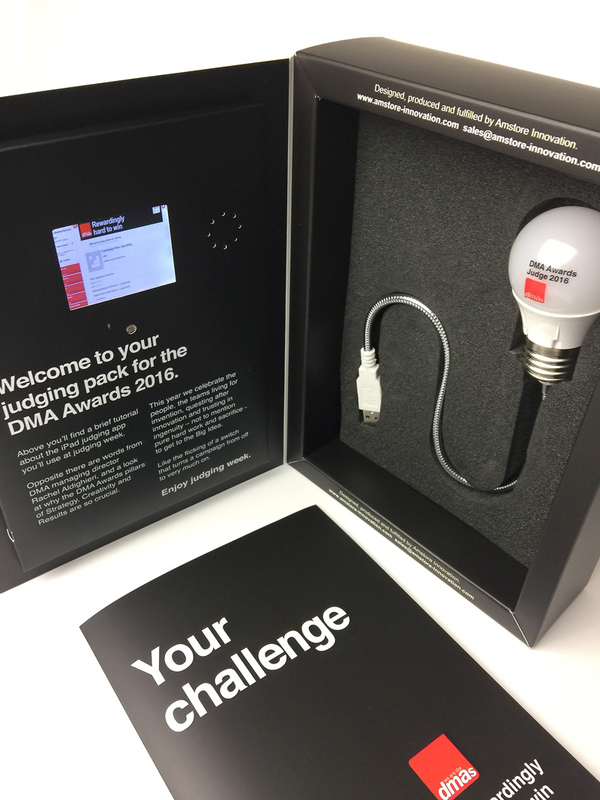 Click to read more about this Judges Pack used in advance of the prestigious DMA (Direct Marketing Association) awards. 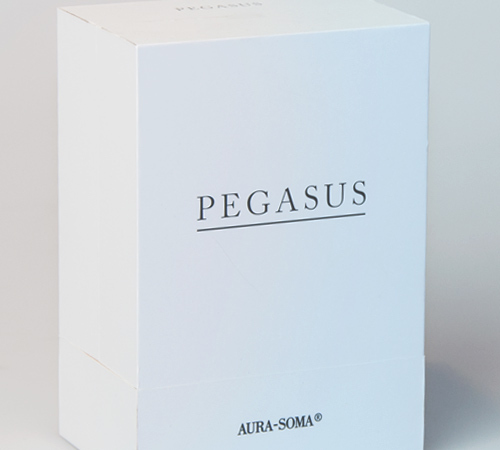 Creative printed wooden box for Aura Soma. 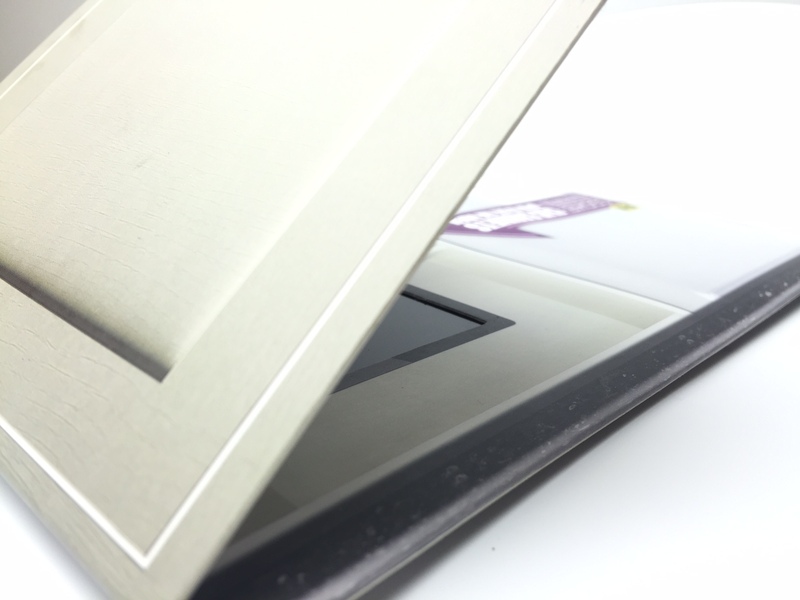 Custom designed with hinged opening to beautifully present the product. Magnetic closure with magnets discretely hidden in the box. With high density foam fitment to securely hold the product. 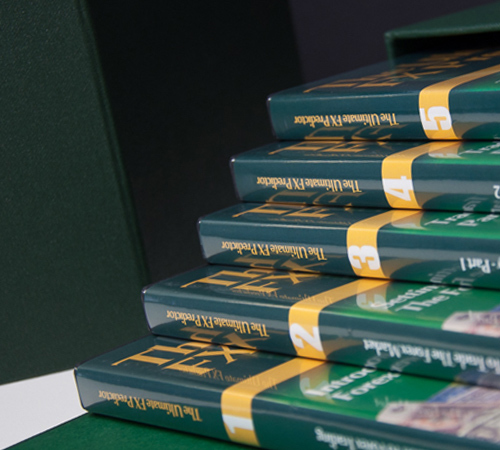 Highly bespoke box set containing 12 CDs and an A4 paper-over board printed instruction book all presented in a printed protective box. 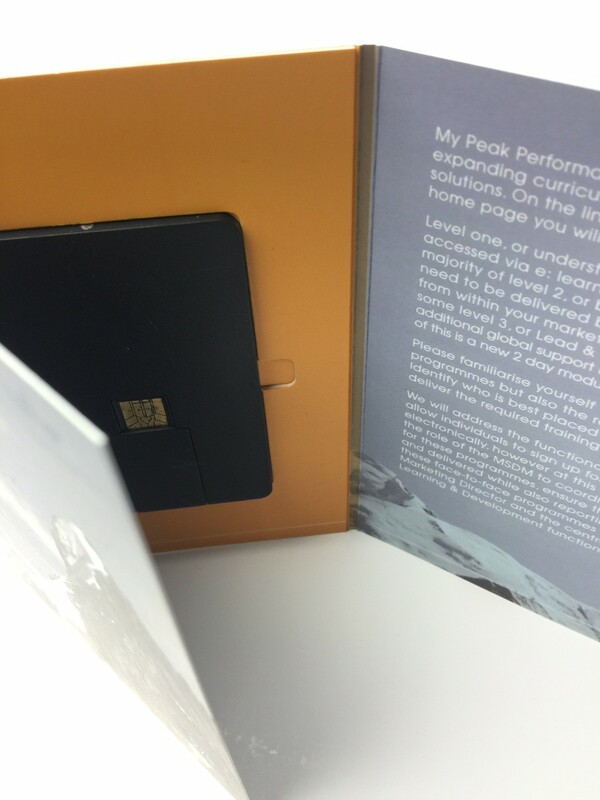 Luxurious foam packaging custom designed for AMEX. Extreme detail went into the design and finishing of this highly innovative pack. High density foam with laser etch branding and complex milling/routing to create the opening apertures and content recess. 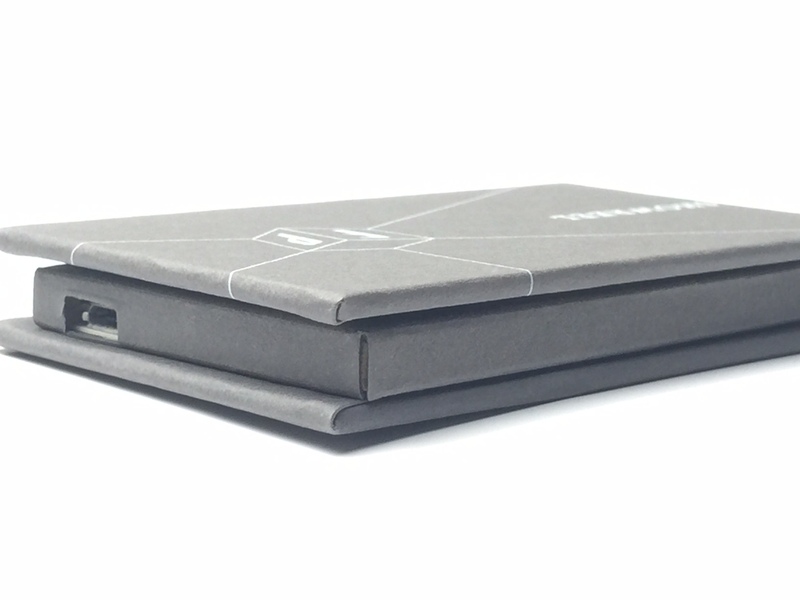 Magnetic closure lid/base. Over 20 titles produced for Sony BMG. 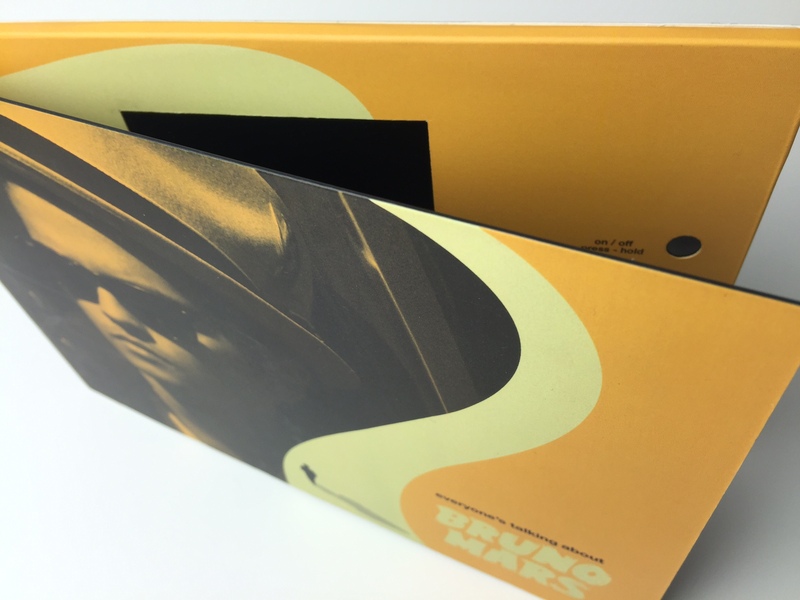 Custom designed CD tin box with ABS plastic inner to hold CDs. 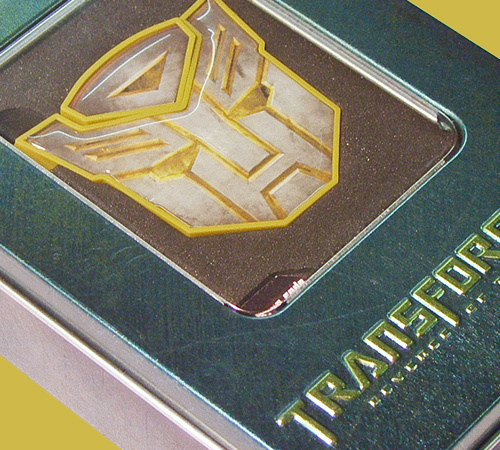 Tins were Litho printed and finished with high gloss varnish or a premium feel Matt varnish. 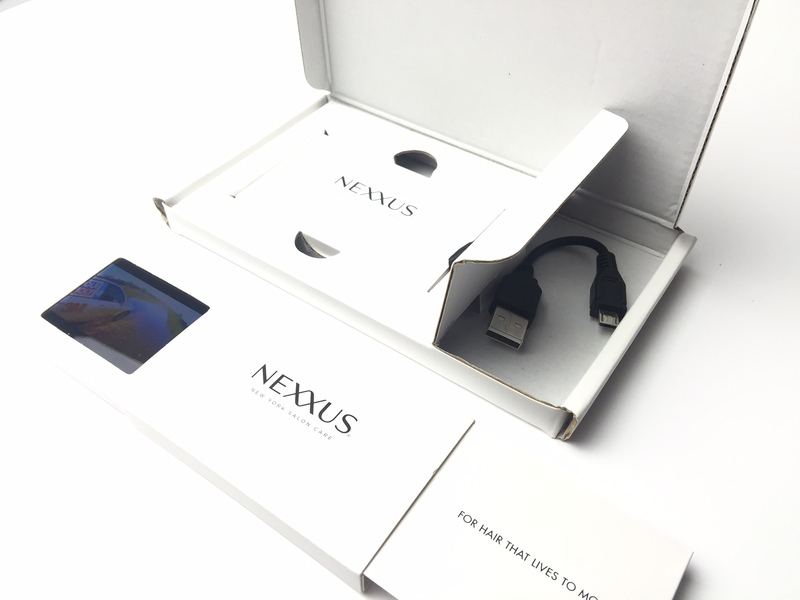 Slick and stylish Business Card USB (8GB) with high definition digital print on both sides. 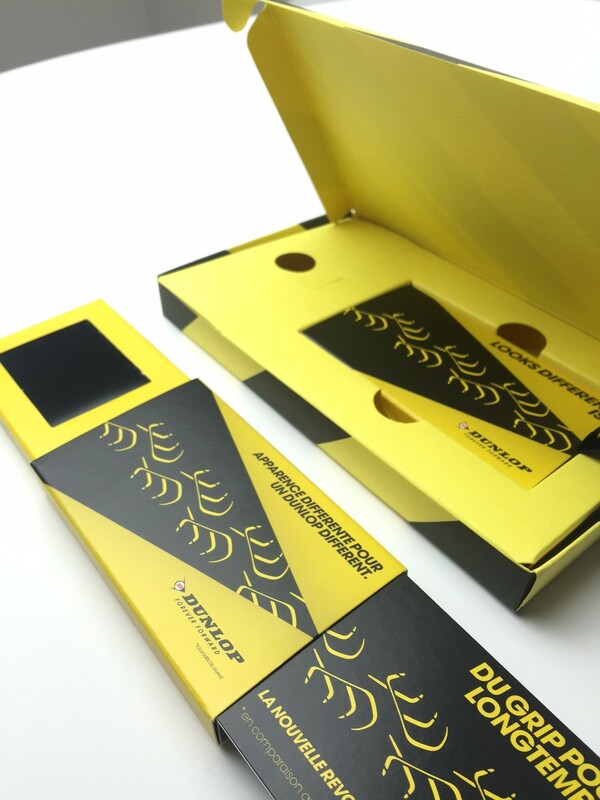 Set in a custom created foam fitment and metal presentation box display tin. 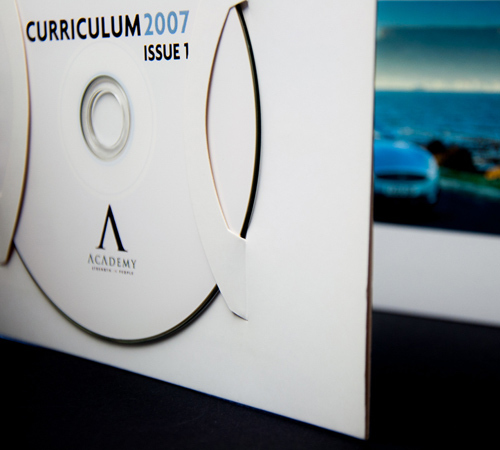 Litho printed DVD packaged in beautifully designed, soft touch laminated printed card creative packaging. Over 1 million units produced. 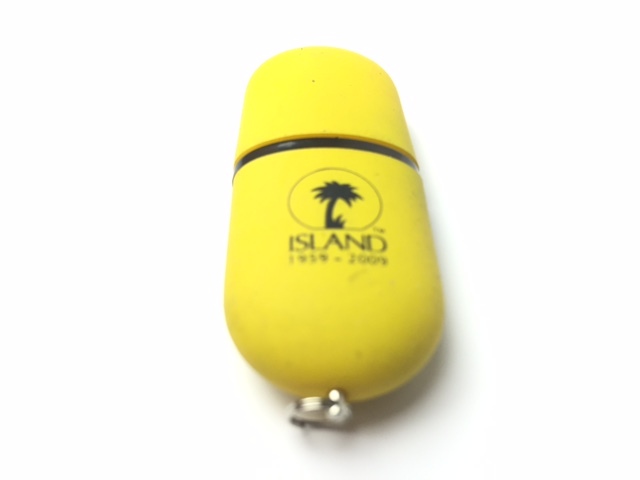 512MB USB in set in creative printed fitment in protective plastic case packaging. Product cellophane wrapped and euro-hook affixed. 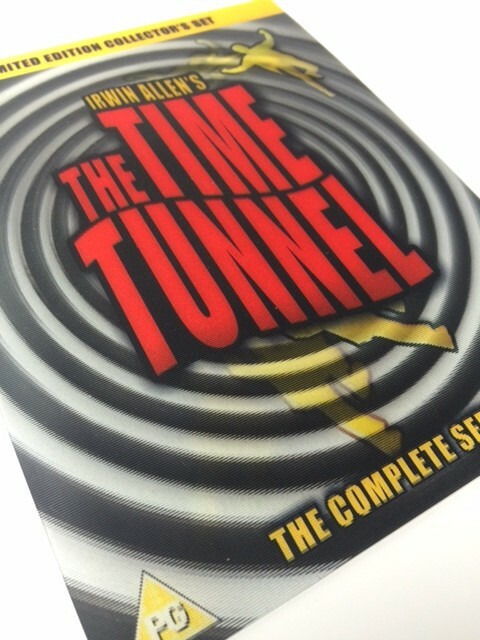 Over 70 titles produced. 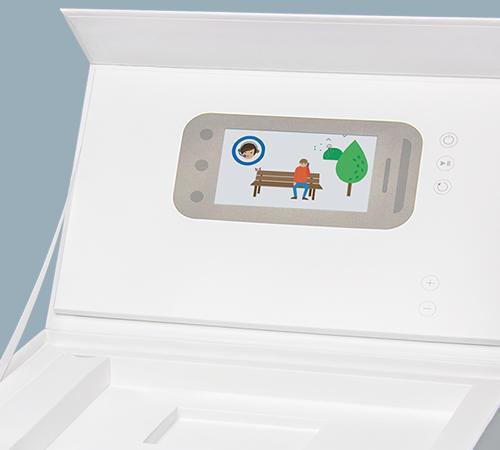 With 4.3" screen and produced using specialist paper stock. 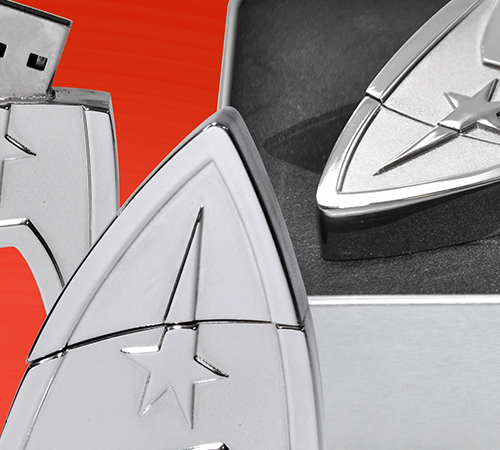 4GB USB produced in a luxurious zinc alloy. Custom shaped and laser etched text. With movie pre-loaded. 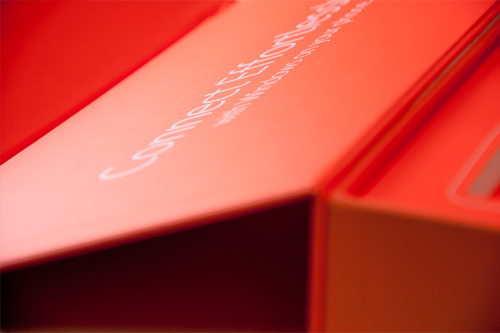 Packaged in stylish presentation box with high density EVA Foam within custom designed metal tin. 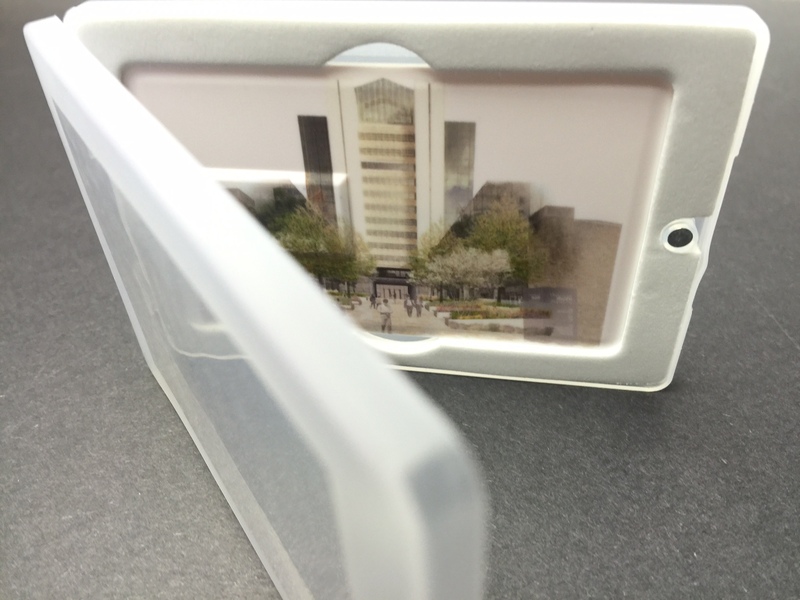 Transparent printed plastic sleeve. 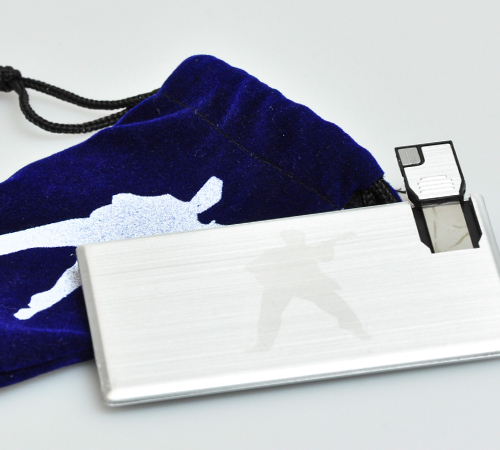 Creative 4GB USB containing albums and digital content. 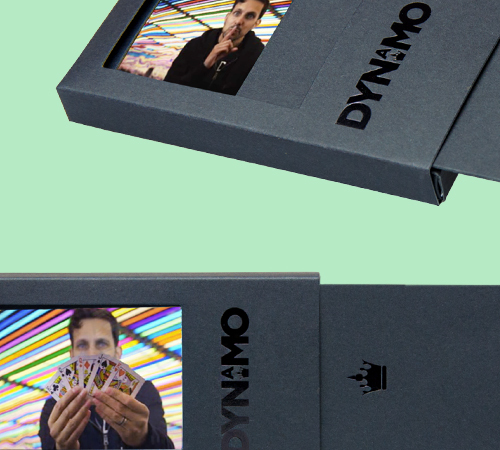 Packaged in innovative slider packaging. 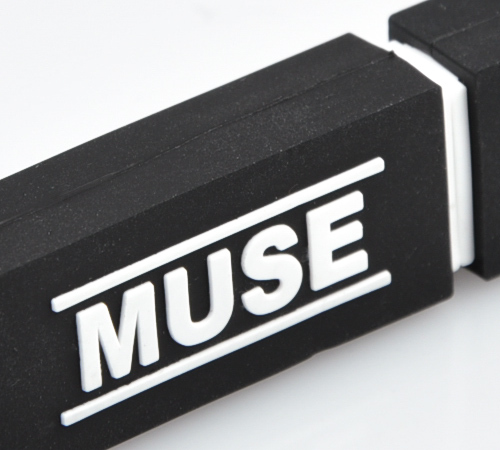 Innovative 8GB USB produced in high density rubber, containing artist albums and digital content. Packaged in creative SliderPak. 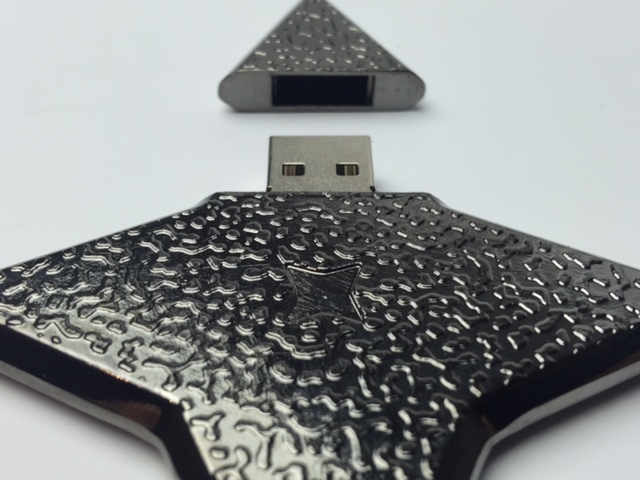 Creative A5, 2pp 4/4 Digital Key USB webkey, beautifully finished with a tactile, full coverage de-boss and matt laminate. 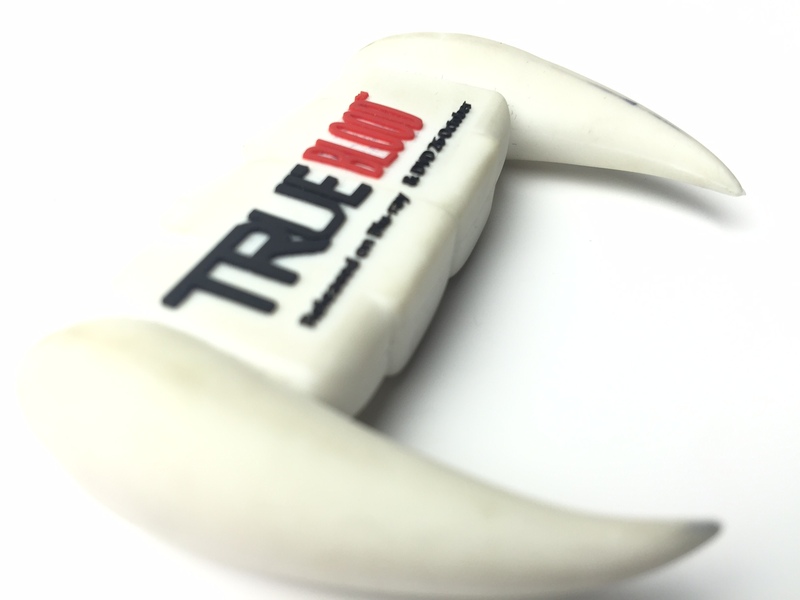 Custom designed Digital Key in print. 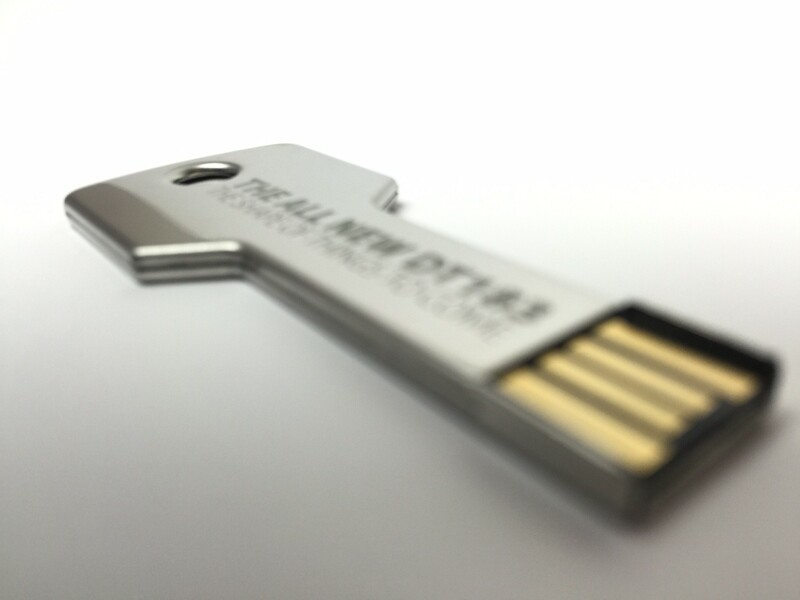 4pp A5 print with 2pp Business Card sized detachable USB webkey. Used as a cover-mount. 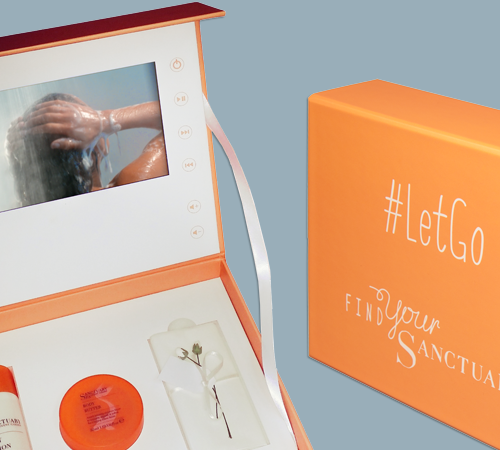 With 2.4" screen and using our interactive and fun SliderPak solution. This format never fails to impress. 10pp Maltese CrossPak with 5" screen and Multi sensor technology. 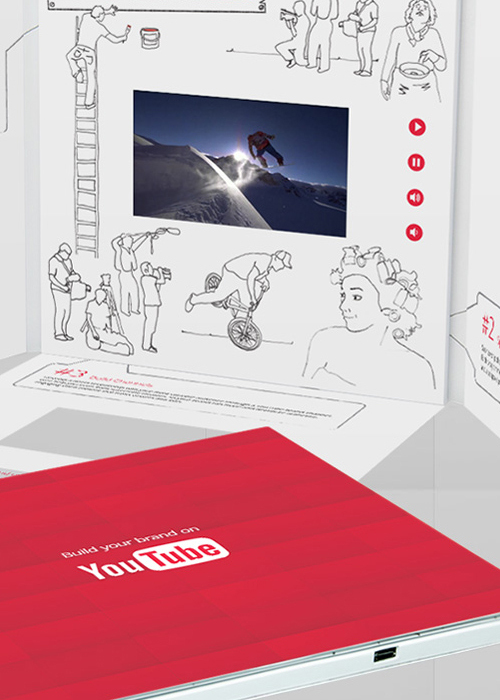 Each time a page is opened, a new video begins to play. An engaging and Interactive solution! Innovative. Engaging. memorable. 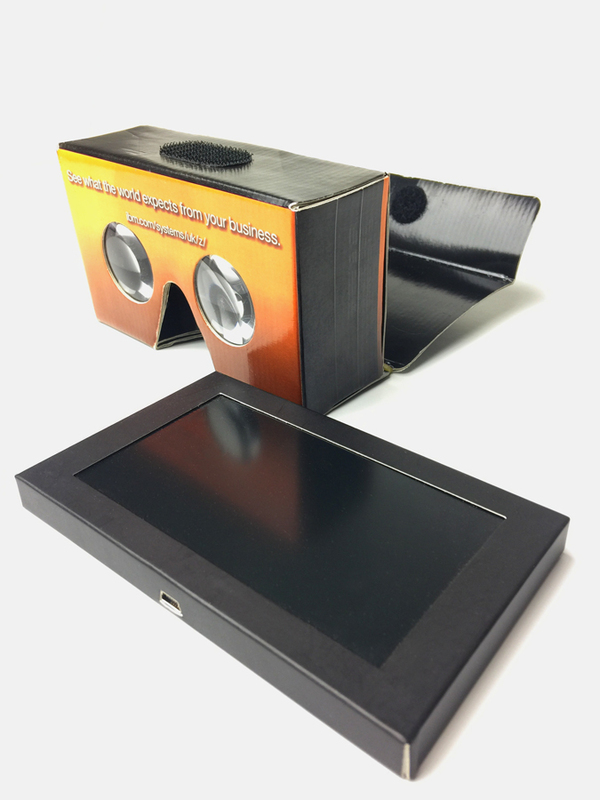 2.4" screen VideoPak produced in black core-board material and branded with black foil stamp. 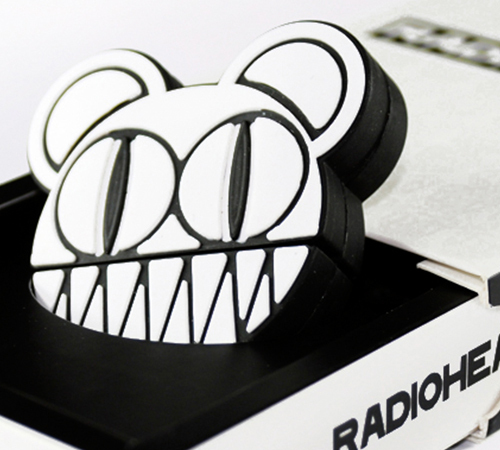 Creatively designed and produced multi-disk limited edition set. 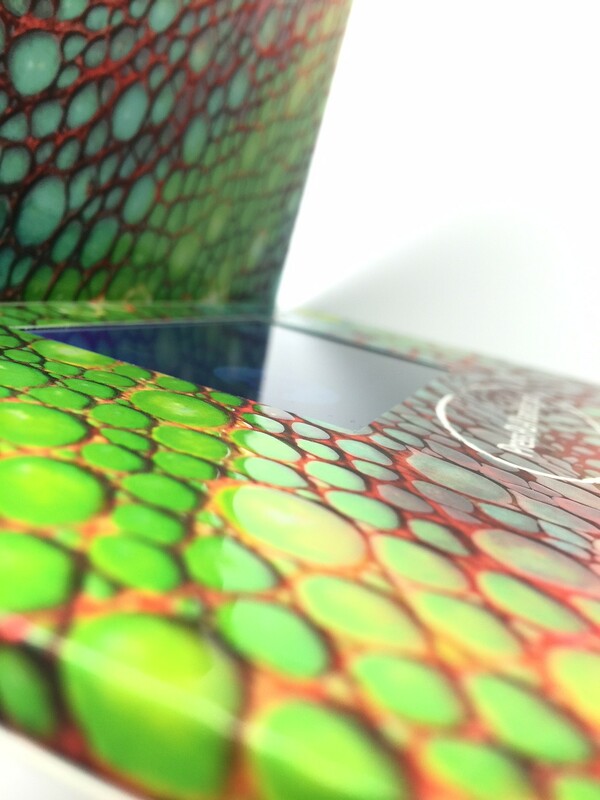 Combining a variety of different finishes such as spot gloss, raised ink, screen print, litho print. 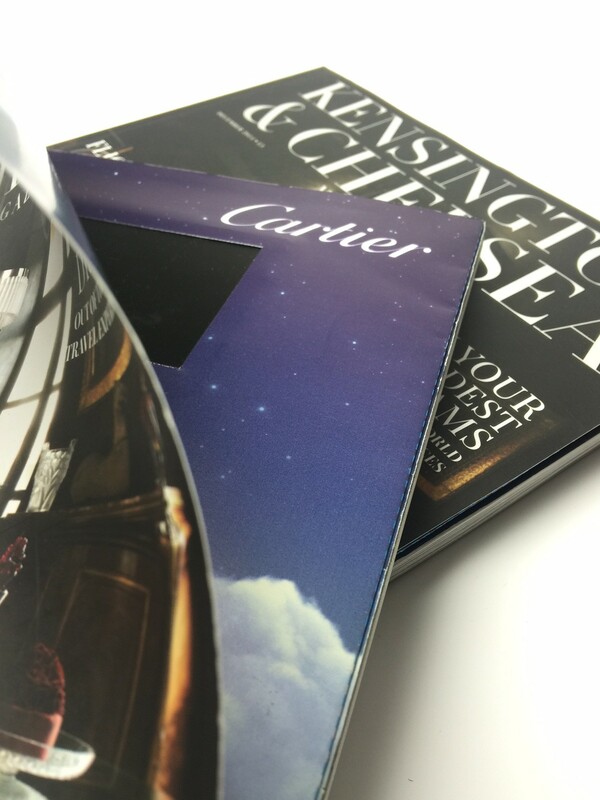 Beautifully produced with a soft touch laminate and black foil stamp branding. 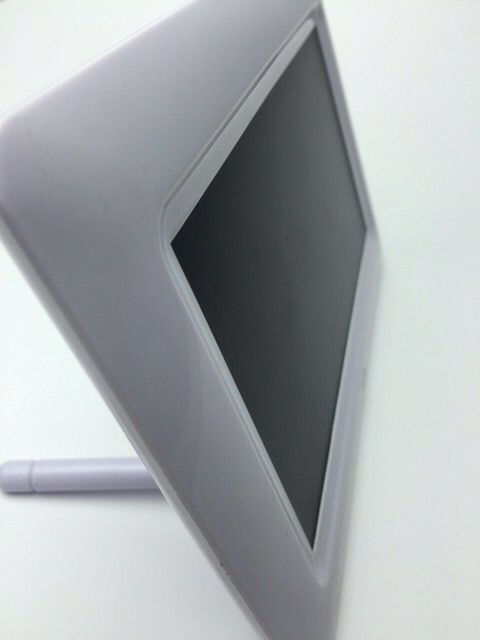 7" screen with 1GB Flash memory, rechargeable battery, built in speakers. 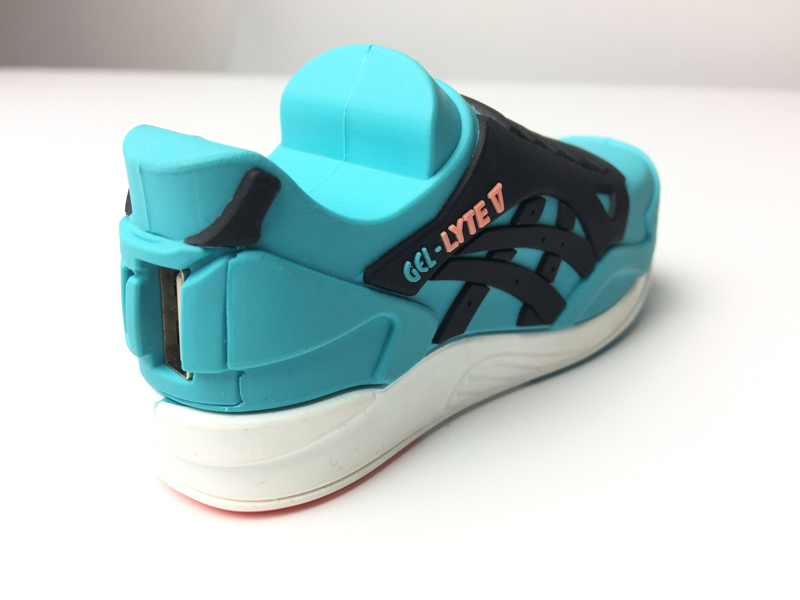 With 7" screen and pantone colour flood printing. Finished with a Matt Laminate and raised ink varnish to create a premium feel. Custom made white foam to hold the contents.